A picture is worth a thousand words. Yet most pictures, tell a lie. Images are enhanced, filtered, photo shopped, staged and framed to make the subject more glamourous than they actually are. When you look keenly, the picture is often marketing or promoting some product or the other. But once in a while, you run into a picture that makes you think. My picture of the past week was a human moment captured after the 2017 London marathon. 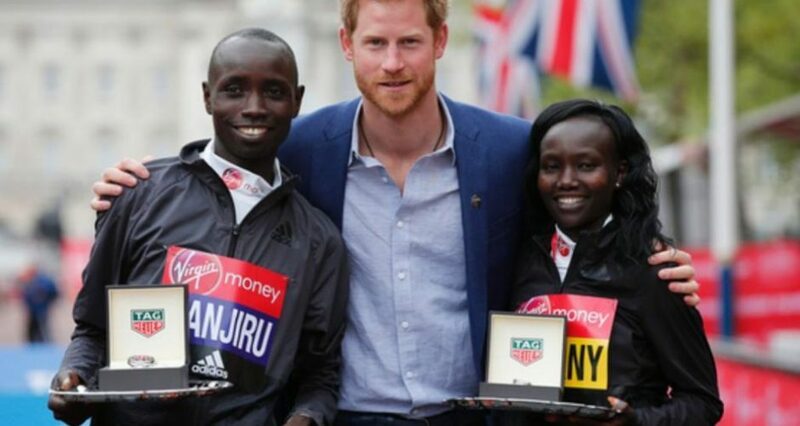 It was a simple picture of Prince Harry, posing with the elite men and women winners of the marathon, Daniel Wanjiru ( no relation to the late Olympian Samuel Wanjiru) and Mary Keitany. Prince Harry was standing in the middle with his arms wrapped around the Kenyan athletes, at ease in manner and dress. On his left side, Mary Keitany with a radiant smile enhanced by her high cheekbones and a left running shoe heel raised, God knows why. An elated Daniel Wanjiru was on Prince’s Harry’s right side leaning into the shot, both his hands occupied. One hand holding a gift bag and the other an open box a gift watch in it.